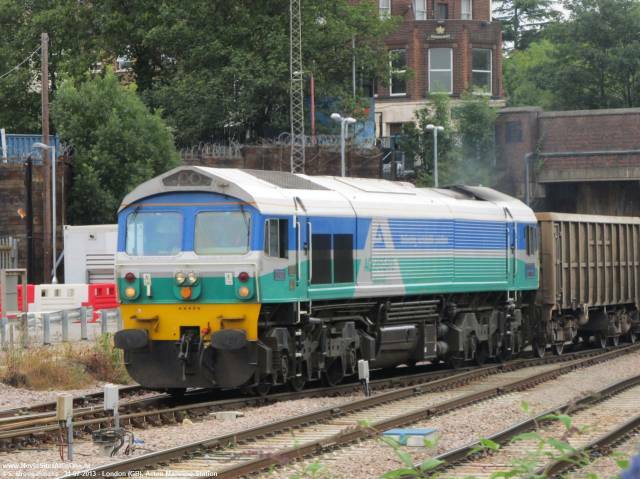 Click here for the Transport For London picture gallery! The second trip to London is already behind us. 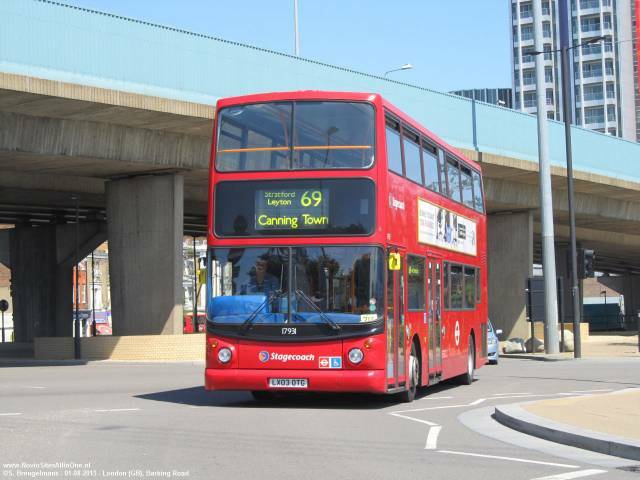 With many new locations, buses and many more attention for the London underground and British Rail. Yes it was a great succes again! Right under here you'll find all new locations we did visit like I did last year also. Are we done in London now? No way... we will go there many more times since the title of this part says...we've got the taste! A hotel just out of Stratford Centre was our home base during our stay from 1st till 6th of july 2012. With just being 3 bus stops from Stratford Centre and one more to go for Stratford bus and regional train station it was an ideal location to fill in our first evening in London. 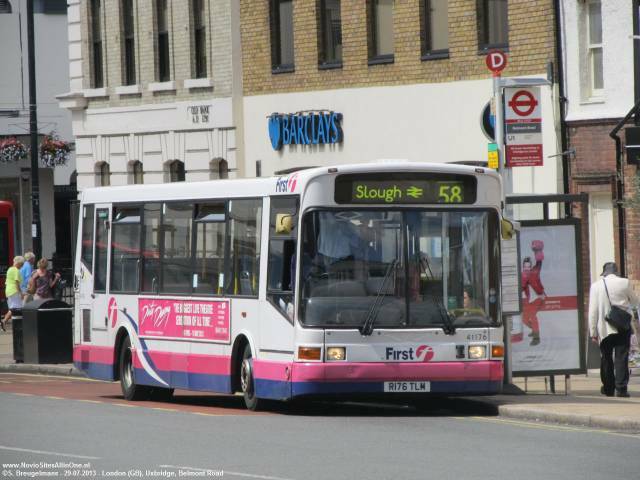 About 150 pictures are made around this spot and video's included of the Romford Road buses serving lines 25 and 86, as well as footage made at Stratford Bus Station are included to our Youtube channel. A nice start off! Our first target on the 2nd of july was Hackney Central which wqe reached using London Overground. At Hackeny Central we catched our first Borismaster pictures as rain made us decide to take a 48 bus service and exit at Liverpool Street, to continue to Victoria where rain made it impossible to take pictures last year. But this time we were lucky and able to take a big shot at Buckingham Palace Road. As following we took a Borismaster serving 38 back to Hackney Central. After soms more pics we walked to Hackney Downs to take a Greater Anglia service towards Edmonton Green Bus Station, a known spot for English bus enthausiast and now for us also. With a nice video and lot's of pictures as a good result. For diner we moved back into Central London while it started to rain a bit again, took soms pictures and diner and moved on to Liverpool Street with a short picture stop at King's Cross which didn't seem to be a nice picture spot. Known from 2011 Liverpool Street didn't had anything really new for us, so I took soms video and pictures of the tube and buses above and withthat being done we ended a nice first day of hobby. 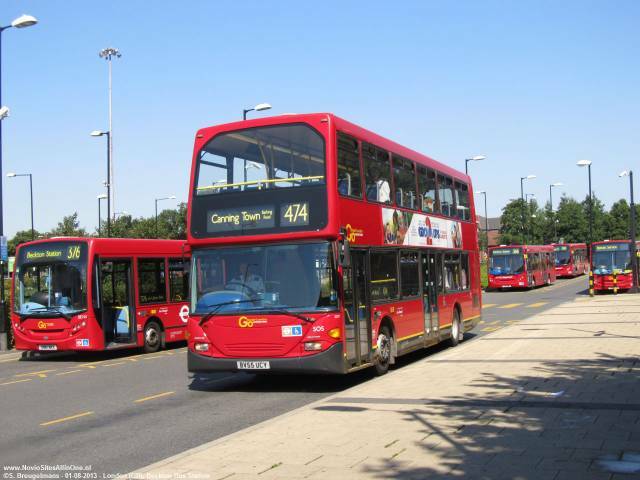 For teusday 3th of july our plans were about to see some far ends of London, as we did start of just getting out of the 6th zone boundry to enter Waltham Cross which has a big variaty and colors of buses serving companies which are not operated from Tfl. A very nice spot which deserved nice pictures and some video footage. Taking the Greater Anglia back to Central London to get on the Central line to west London, we rode the whole trip to Ealing Broadway which seemed to be an amazing place, with a very nice scenery full of flowers and a nice park. But buses did a really nice job too. Buses by Abellio, Arriva and Metroline were most seen but the University of West London passed by with a nice grey Enviro 200 also. We can say another very nice spot of London! While giving our District Line train some extra attention we travelled back to Acton Town taking a Piccadilly service towards Heathrow, the most far you can go west with the tube. Heathrow didn't seem to be a wonderfull place to catch some buses. In fact it was pretty difficult but okay.. I could manage myzelf to take around 35 pictures. Diner time again, with in London style we enjoywd classic English fish and chips and took some pictures at Waterloo Place and the Haymarket. After all that we did some city sightseeing visiting Chinatown, Leicester Square and Tower Bridge by dark. As most the last was really awesome! 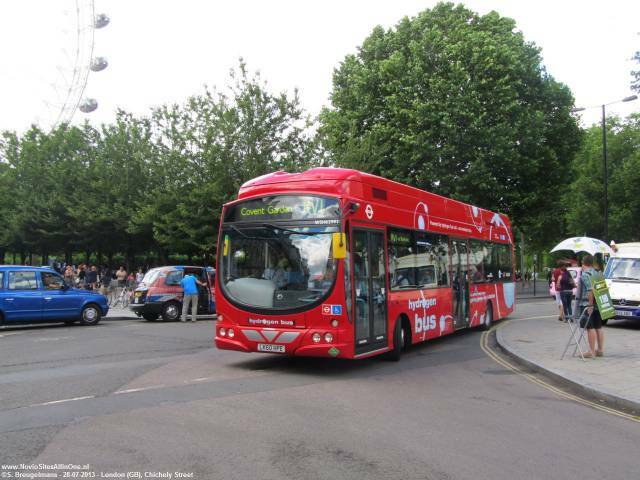 On the Covent Garden Plaza, close to Strand you'll find the London Transport museum. A museum I can only recommend to alle people who love London and it's public transport history. Much to see, much to do so something you really need to do and we were happy to, cause it was raining during our stay inside there! A nice way to start the 4th of july. I know..known from 2011 but with the Routemasters serving there it's impossible to pass and leave, so before we made our way to London Bridge to catch a train to the south, we took some pictures and video's at Strand/Charing Cross. This seems to be the most busy station of the more southern part of London and I guess they are right about that. Lot's of buses do pass as well as London Tramlink shows itself at it's best we really did enjoy our stay right there! Time to take a new tram to Elmers End. Not a place we made a big shot, but at least we catched some nice trains on our camera's as well as some footage of Tramlink activities right there. After Elmers End we did split the team in pieces as Robert was heading to the hotel to getting some rest and I really wanted to see an amazing inclinator near St. Paul's and the 1930's old lifts at Shoreditch High Street Tea Building. After being done we alle reunite and took diner at a KFC at Stratford Centre. As there was not a bit of entertainment at the hotel and we were pretty curious to the driverless DLR trains we decided to take a ride from Stratford to Canary Wharf, with off course some pictures and filming as a result. The Canary Wharf area is pretty impressive and a nice shopping centre is included. But okay, it turned late and our fastest way back is a Jubilee service back to Stratford. End of another great day! It's already our last full day of fun in London, while we take a Northern line service to Edgware. You never know what you are about to see when you travel a big distance from central London but Edgware seemed to be a place with that much buses like we are used to in Amsterdam. Amazing! 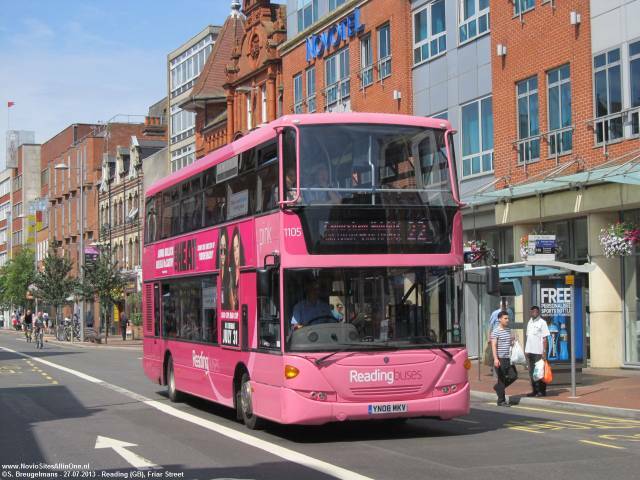 Even some pink/purple buses seem to have a 30 minute service right there, so we could call it another great succes! Most people who even been to London did visit Marble Arch, not only because it's a nice looking place, but there are so many buses right over there, that you won't feel sorry to be there for even one second. Maybe it's needs some practice to take pictures with the dense traffic around but it's possible, it's even pretty nice so we took more pictures then we would thought about and with the Green Line, Megabus, Oxford Tube and National Express services passing by all the time it has a great variety! Also known from last year we paid another short visit to Hammersmith which seemed not really busy at the moment. So we decided to end our hobbytime going to a place which would be busy for sure. And at least, I really wanted to have the grey First Routemaster. So there we were back on Waterloo Place and took our waiting for the grey Routemaster, but we did get a black one extra and many more nice buses in all styles and colors. Off course I made some video at this place this time too, as I was forgotten it last year. At our last evening in London we did pay a visit to the local pub of Colliers Wood as we had a great stay at the hotel next to the pub in 2011. This hotel was busy constructing a bigger building which was the reason we couldn't get sleeping places right there. Our hotel at Stratford was a little...better say a little much dissapointing. Bad breakfast, not a very friendly staff and employees so one thing for sure, within our next journey to London we will be back at Colliers Wood. Be prepared! Like we hoped for we were able to do a lot more with the tube and trains running in and around London. I managed to take pictures of all used types of underground trains, DLR and Overground as well and could make a lot a of video footage. Still the Jubilee line with the amazing sounding trains is my no.1 favourite but it needs to be said, London Underground is amazing. It's another world just below a wonderfull city! 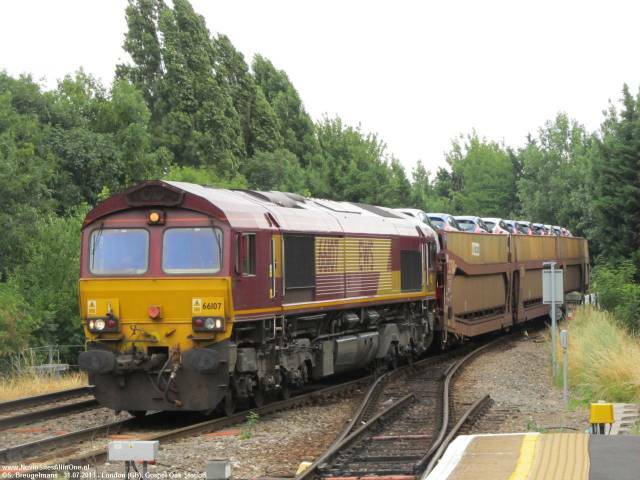 I also managed to take different train type pictures, most operated by Greater Anglia, Southern and Southeastern. All being said, there's a lot being done, but many more ready waiting for us in this great city! No...we're not done in London now, we still just saw a little compared to the total floats of buses, tube and trains so we sure will be back for more visits. For our next visit I would love to visit Brighton too. 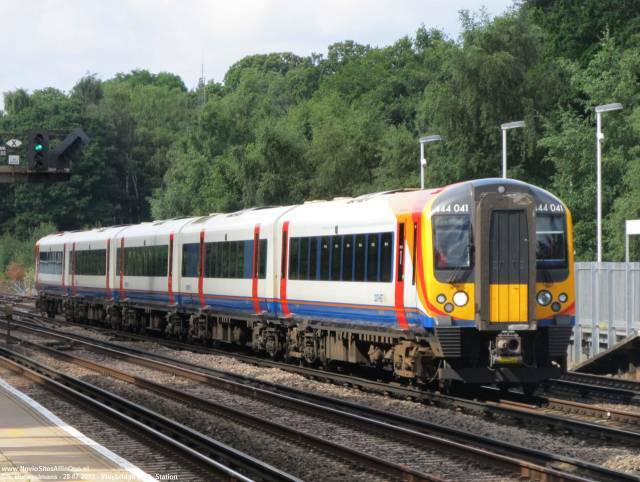 Just less then one hour of traveling from London with a First Capital train service. 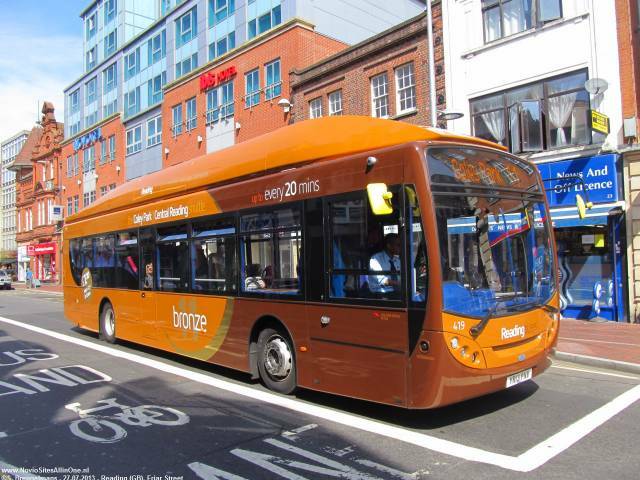 We were able to catch 3 Borismasters so we have a good reason to get them all nest time, as well we want much more buses from LOndon Souvereign, MetroBus and Docklands Buses. I'm sure we've got enough to do to fill many more trips to one of the most great cities in the world. But off course we want to see many more. We hope you will enjoy every part of our giant updates taking place through july and august 2012 and by the time, we can prepare for our next trip! Enjoy, and thanks for all your interest in all the work we love to do for our viewers! This was our first target, but a very rainy target. Between raindrops and heavy traffic we were able to take some bus pictures here. It's a very busy station in central London close to Buckingham Palace which we didn't visit because of the rain. You can find a video of buses on Victoria on our Youtube channel. Central London also but because of the giant traffic lanes it isn't a great spot to take any pictures. We made a few and continued to our next target. This is a great spot to take bus pictures. Just between all the shops on Oxford Street you got a lot of free space to get some good pictures. In some part of Oxford Street there's just one way lane for cars which makes it really easy to take soms nice bus shots. There's a video of Oxford Street buses on our Youtube channel. After a bus trip from Oxford Circus to Piccadilly Circus (which is on Youtube to) we found this wonderfull spot. A lot of buses coming from Trafalgar Square are turning into this place to head on towards Piccadilly Circus which is only 5 minutes walking from this spot. Buses are taking the corner slow and gently so we got great chances to take some nice pictures. I kinda forgot to do some filming here. That's a goal for our next visit! On Piccadilly Circus itself it's hard to take pictures but the streets around are fine. Like Regent Street where we shot some bus pictures to kill the time waiting for a bus towards our next target. This part of Regent Street is very, very busy so buses are passing by really slowly. This gives more chances to take pictures of a bus while people are in the way some moment. For the ones who even been to London I don't have to say this but Trafalgar Square is great. It's really beautiful and I couldn't walk over it without taking a lot of tourist pictures. Untill the moment I saw a Routemaster! Trafalgar Square is the place to be if you want to see the Routemasters on the heritage lines 9 and 15. But soon you'll find out it's not a great idea to take your pictures on the square itself. So I took my pictures mostly on Strand, that's the road towards Charing Cross Station. The first bus stop you'll find is the starting point of heritage buses on line 15. The buses are standing still for a moment and at same time a lot of normal buses is passing by and stopping at the bus stop. 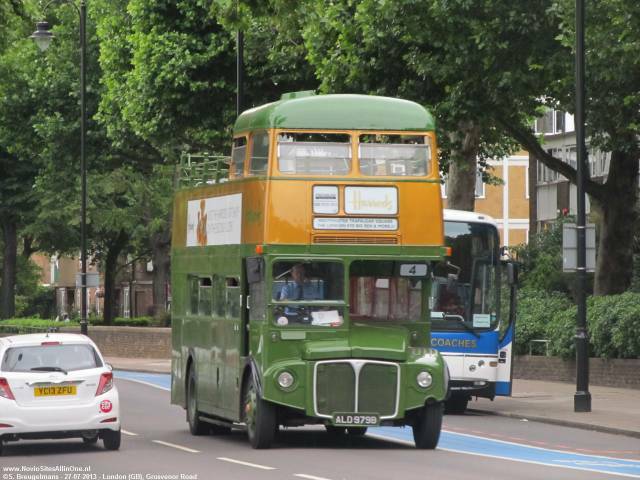 On Youtube you'll find a video of this great place and the Routemasters! This is a location on about 30 minutes of tube traveling from central London and our hotel area. It was a perfect spot to start the day and making our plans for traveling around London during our stay. It's even close to London Tramlink, 5 to 10 minutes of bus traveling. Talking about buses it was still pretty busy here. So we took some time to do some filming here and made a few bus pictures on our arrival evening or when some of us needed to visit the supermarket. Our first stop on the second day of our trip. We didn't reall;y find a good spot to take pictures over here so we soon decided to stop and go for our next target. We made a few pictures but no filming. I wouldn't recommend this place but ok, it's nice we've seen it. With the impressive St. Paul's Cathedral as a background for our pictures this was a great place to take our pictures. There's a lot of traffic around but that's not really a problem to get some pictures. Most of the buses is stopping at their stop or for the traffic lights which gives us a lot of picture chances. And off course you're on the Routemaster route while standing here! I didn't take a video here... I was just to busy taking pictures! First of all this is a beautiful train station! I really loved the design and it kind of special how big it is looking to the place where it's standing. From the outside I didn't see anything like railroads, probably because the lline is ending here. Going to a nearby intersection lot's of buses are entering the station which we took pictures of. We found another bus company here, CT Plus which we didn't find anywhere else in London. Nice spot but a little narrow looking with all those high buildings around. Finally the sun got awake when we were here for 15 minutes. And it came up on the perfect place. So when a part of the team decided to get some lunch I continued taking bus pictures because of the great sunny look on the buses. After a first day of rain and dark clouds it was great to see the sun again and lucky as we were it remained sunny for the rest of the day! When we were walking from Aldgate towards Tower Hill we saw a Wright fuel cell bus at the terminate point of line RV1 at Tower Gateway. That was nice because as far as I knew this route was driven with just normal Mercedes-Benz Citaro's! Soon we figured out this route was totally driven with this new buses. Great! The Tower Hill area is great with all the beautiful buildings around like the Tower of London. Tower Hill is also the terminate point for the Routemasters on heritage line 15. Modern buses on 15 continue to Blackwall via Aldgate. Yes, we have our Erasmusbrug but that's nothing compared to this famous London bridge. It's really amazing so we took our time to take some tourist pictures. Yes, I made almost 150 which tells me London is a really beautiful city! After us being tourists we took the RV1 back to Tower Gateway. 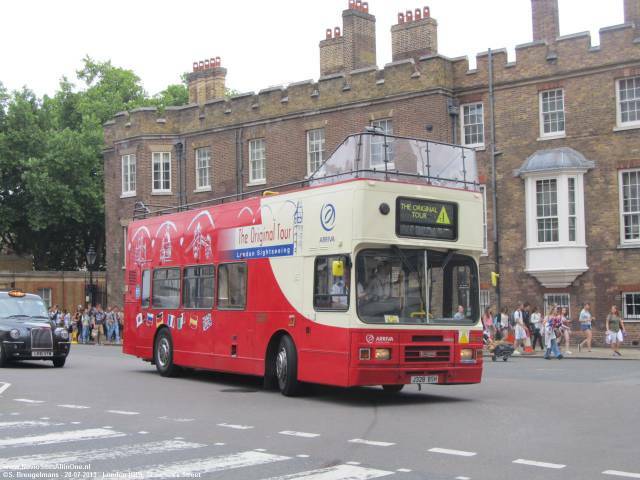 In this way we could ride with the fuell cell bus, and passing the Tower Bridge once more, this time traveling a bus. Now it got time to get some Routemaster experience so we took the 15 towards Charing Cross from where we would take the tube to our next target. 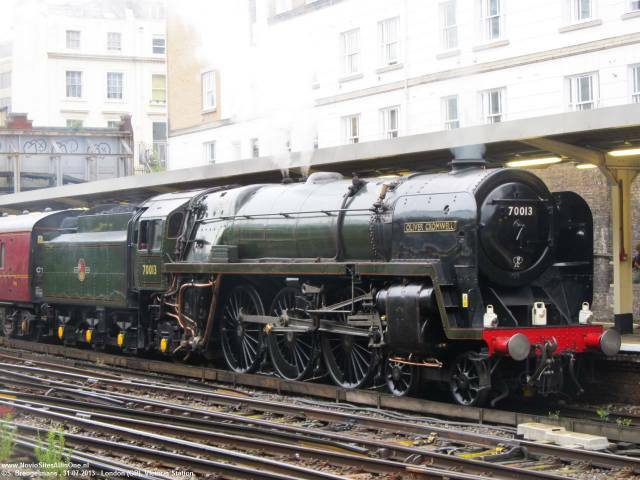 Our next goal was Westminster where I would film some Jubilee trains the next day, but today we left the tube immediately to see another famous part of London, the Westminster Abbey and Big Ben. First of all we took some bus pictures. There was a lot of traffic and really much pedestrians around but it wasn't impossible. Many sightseeing buses over here and now the sun was shining they were full of tourists. Done on the intersection we made our way to Westminster Bridge to get a view of the London Eye, and tried to get a London doubledecker and Big Ben in one shot. It wasn't really easy but I got a nice one which was able to see on the homepage for a few days. Now it's able to see in the Londen United album in the picture gallery. All pictures are available at the end of september. I've shot a kind off short video of buses from Westminster Bridge. Using the sun this was a wonderfull place to get a lot of nice pictures in a short time. The nice thing about this bus station is the big variaty of buses, from each type of double decker to standard buses, articulated Citaro's and one route driven by nice Wright Hybrid buses. After shooting a lot of pictures I got my camcorder on which will show you how busy this place is! After we were finished here we went back to Oxford Circus to get some good diner and a few more pictures. Finished the day with some filming on Oxford Street. And like every day in London we ended in the local pub. Great succes! Now something about the tube (London name for the underground or subway). It was our main way of traveling around but we also took some time to show you the nicest part of it. Which is the Jubilee Line. Those 1996 Stock trains are sounding awesome so I did some filming on two stations, Green Park and Westminster. Westminster is one of the new stations on the line having glass sliding doors and walls to separate the platforms of the rails. Very safe but train drivers need to stop exactly at the right place to get the train doors in line with the glass doors on the platforms. But they seem pretty good! Lucky enough the walls don't reduce the great train sounds so get to Youtube and enjoy their music! We arrived at 8.50 at this place and figured out Harrods would open at 10.00. So time for some buses. Just in front of Harrods you can find a great spot to picture buses from both directions. For ons of those directions it's even easier because there's a bus stop where as good as every bus stops to load or unload passengers. If you're about to visit this spot you really need to take the time to walk around in Harrods. It's a giant store full of luxury products and the building design is really awesome! As well as the elevators which are over then 100 years old. You can see them on my Dutch Elevator Channel. Seen pictures of other people I was thinking London Bridge had a roof over all buses but it doesn't. So we couldn't really take a lot of pictures there because of the rain. I made a few from under a bridge but buses passed us on both sides so we decided to stop and search a safer and better spot. We wanted to ride a train so we did towards Victoria Station. From Victoria we traveled with the tube to our next target. In the meantime it stopped raining so we could go on. After our trip to Wimbledon Station which wasn't a good place to take some bus pictures at all we took the tram towards New Addington and got out at Merton Park. From Merton Park there's a direct bus service to our hotel and we didn't wanted to take the tram and get out at Croydon becuase that's the place where riots caused a lot of damage and sadness. Just things I don't like to see when I'm on bus-holiday! At Merton Park we took a few tram pictures and I made some video of them. One of our team was getting tired and hungry so we needed to get a break into the hotel. During that break I shot the video of buses at Colliers Wood. Fresh to go we headed to Green Park by tube to take a Routemaster ride once more! We took the 9 towards Kensington and got out at the last stop for the heritage buses. The sun got back and we were able to get some really nice pictures here. With some Routemasters included! The Green Line buses operated by First Capital were passing here too, beautiful green/yellow double deckers which did a great job in the sun. There's pretty much traffic but still this is a spot I can recommend for going to! Hammersmith was our last target. Yes we had more, but time got up. As soon as we started taking pictures on the high level bus station a supervisor told us that wasn't allowed. He didn't really told us a good reason but ok, we wanted to keep everything nice and left the station. In fact not a problem at all, because the lower bus station was a lot nicer, as well as the entrance of the high bus station where lot's of buses where going in and out. We were able again to take a lot of pictures of a great viarity of buses. 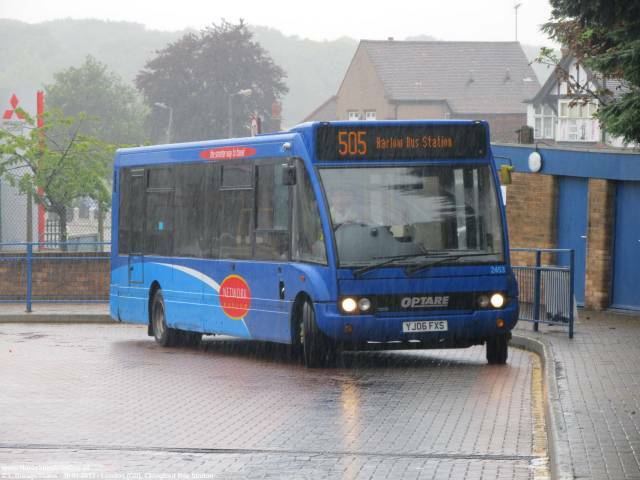 We even find some lines with beautiful Optare single deck buses (you can see in the picture below). And as soon as I started my camcorder buses keep come and go and the only reason I needed to stop was because I ran out of memory! Another location I can fully recommend! A great way to visit London is taking the Eurostar train from Brussel South. 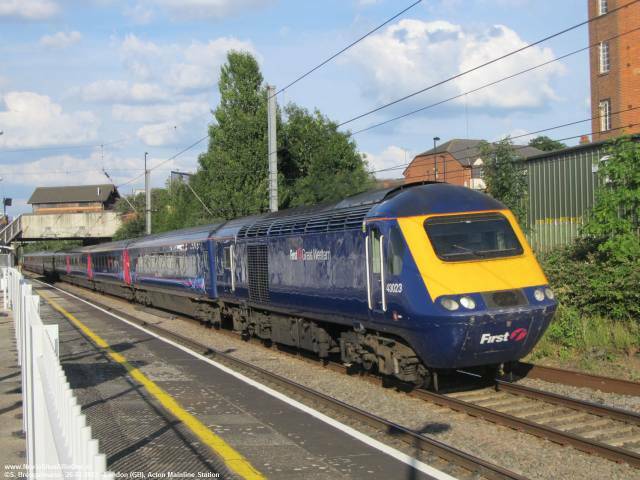 For a great price you're traveling with a 300km/h spead through France and England straigt to central London. Only through the Eurotunnel the train reduces his speed to a regular train service but still it passes the tunnel within 20 minutes. The total trip costs less then 2 hours and taking normal seats you can check in untill 30 minutes before departure. From my place it would take more time to catch a plane to London and a plane doesn't land in central London. This train service is perfect for me and for sure not bad at all. I took a video of the train at 300km/h from my seat next to the window on the way back. Eurostar @ London St Pancras Int.